Ralf Gantzhorn was born in 1964, holds a M.S. in Geology – and has even worked as a geologist (as an independent consultant in the contamination sector). He has been climbing since 1983 and working as a photographer since 1985. As a northern German, he is always torn between the far too distant mountains and the fresh sea air, but he’s found a compromise in Scandinavia, Scotland and Patagonia (where he has now spent over three years). He enjoys organizing trips in areas where unfamiliar vistas – which haven’t already been photographed 1000 times – lure from every corner. He often experiences his images as far too static, but then is pleased with the abundance of triangles in the structure and the fantastic light. OK, it’s the most famous glacier in the world. You can’t expect solitude here; every fifteen minutes a busload of tourists is released in the direction of the viewing platforms. 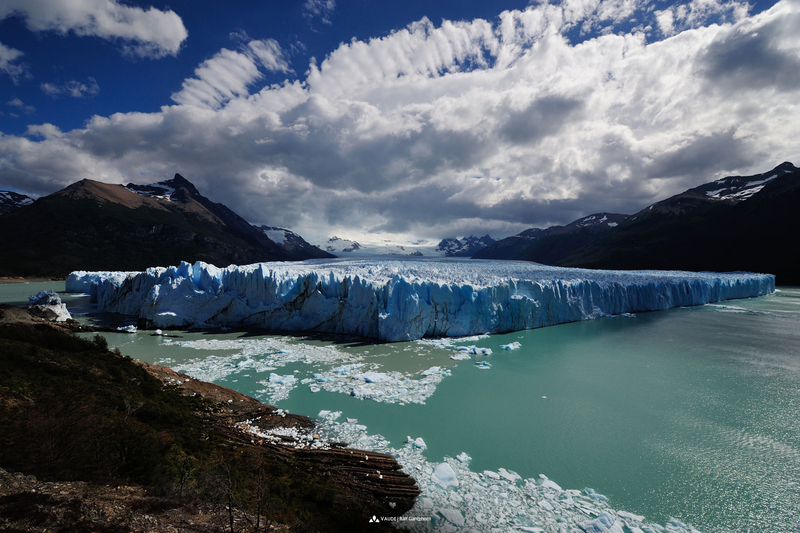 And yet the sight of the Perito Moreno Glacier in Patagonia with its 4-km wide and 60 m high escarpment has something touching, something incomprehensible about it. It is a natural spectacle that takes your breath away and that instinctively describes the relationship between man and nature. Humility and tranquil joy of existence seizes every viewer. I eagerly awaited the first rays of sun on this day. After a stormy and rainy night in the tent, I was glad for the warm rays that not only dried my gear, but also provided motivation for the kilometers ahead of me. My name is Daniel Kreher and I’m from Salgen in the Lower Allgäu region of Germany. My greatest passions are traveling and travel photography. It all began in 2005 when a friend of mine, Peter, and I took off on a major motorcycle journey for the first time. I was bitten by the travel bug and it hasn’t let up since. It’s all about experiencing unique moments up close and personal. Capturing the fascination of the lighting is the key to success for creating captivating images. This usually means a lot of hard work, but the unforgettable moments make it all worth the effort. In each and every second, a multitude of angles and lighting effects create an endless variety of motifs and images in the world, which appear and disappear.I see capturing these images skillfully with my photo gear as my personal challenge for the future, especially since I’ll probably always have only one chance to visit each region. A fabulous 100% self-powered bike and ski adventure. Full Movie out now! Unabhängig ob markierte Wege oder wegloses Gelände, das Wandern im hohen Norden ist anders als in Mitteleuropa. Wir geben Tipps, wie das Abenteuer gelingt. VAUDE Produktpate und E-Experte Stefan Schlie im Interview zum Thema E-MTB Bekleidung. Europe, a continent viewed as the centre of the universe is, in fact, an offshoot of Asia. Great Britain, former centre of the world’s largest empire, lies on the outskirts of Europe. The Old Forge, a pub on Scotland’s Knoydart peninsula, can only be reached on foot or by boat. Land aus Stein und Trails im Dornröschenschlaf. Bikes for a better life: simple words that describe the simple yet impressive community program, BEN Namibia.